Do you have healthy teeth and gums but are dissatisfied with the appearance of your smile? You have a chipped tooth and some small gaps between your bottom front teeth. You’d like to disguise them with porcelain veneers in Federal Way, but the cost and time involved deter you. Why not ask Dr. Drew Beaty about direct bonding? He’ll tell you about its many benefits, including cost and ease of application. It may be just the boost your smile (and your self-confidence) need. Plus, he can use it to bond permanent retainer in place to preserve tooth alignment. 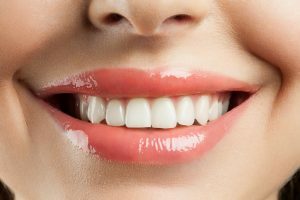 Actually, the composite is so versatile and the procedure so simple that your skilled cosmetic dentist employs bonding for any number of situations. The material is durable, lasting for years with good in-office and at-home oral hygiene. Unlike refurbishment with porcelain veneers, bonding does not require extensive enamel preparation, oral impressions or try-on appointments. For example, say the patient has a slight gap between the two front teeth in the top of her mouth. These teeth located in that all important “smile zone” that everyone sees when we talk, laugh or smile. After ensuring the teeth are healthy, the dentist gently etches the tooth surfaces with a special chemical. Additionally, he might sand them gently to ensure the composite resin well adheres to the prepared enamel. He then applies the proper shade of resin, filling the gap and sculpting the material for proper thickness and smoothness. This is where the artistry of a skilled cosmetic dentist is so important. After a final shaping, Dr. Beaty hardens the resin with a special curing light. He polishes the teeth to a bright, shining finish. In just about an hour, or less, the patient leaves the office with a wonderfully new smile. Teeth bonded with composite resin are strong and stain resistant. Dr. Beaty recommends the usual oral hygiene at home and every six months at his office. He tells bonding patients to avoid extra-hard foods such as peanut brittle and ice. Also, he wants patients to refrain from chewing non-food items such as pencil tops and from opening bottles and plastic packaging with their teeth. Besides bonding, Dr. Beaty and his team offer professional teeth whitening, tooth-colored fillings, porcelain veneers and crowns and other treatments which improve both the look and health of your teeth. A Seattle Top Dentist 2009 through 2016, Dr. Beaty is highly skilled in all types of dental treatments, including restorative services and those all-important preventive procedures. You can trust your oral health and personal appearance to his capable hands and practiced artistic eye! Contact the offices of Drew Beaty DDS to arrange a personal cosmetic dentistry consultation. You’ll discover you can have the beautiful smile you’ve always wanted.